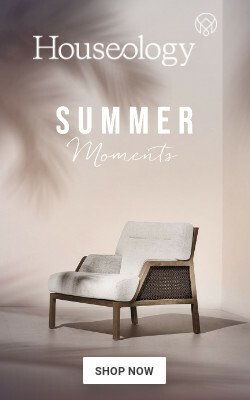 Summer is here finally and, I don't know about you, but I am already gearing up with the best of summer essentials. 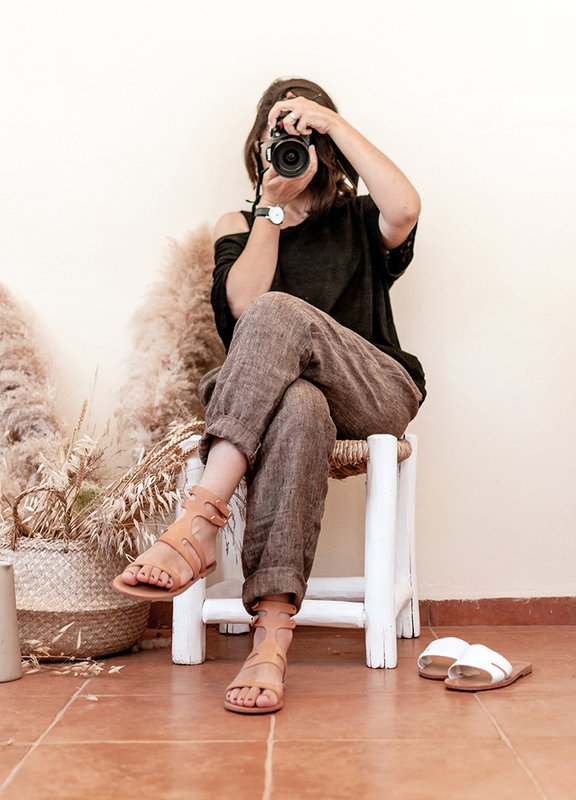 If you are following along on instagram then you might have read about my quest to shop small, ethical and handmade as much as possible and you might also have seen a few snapshots of my new greek leather sandals made by a beautiful lady, Anastasia Gerali of Alasia Lifestyle. 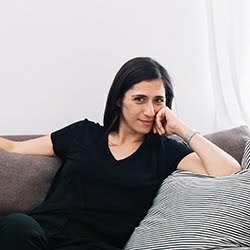 I'm very honored to have her here on the blog today, spilling the beans on her slow fashion business which specializes on gorgeous high-quality leather sandals and neoprene beach bags (for now as she plans to expand soon! Read below!). Her creations have a distinct focus on sustainable and ethical design as well as local production that supports small family businesses. I just love when I know that the products I wear align with my values apart from being super pretty and comfortable! Click below to read her inspiring interview and don't miss the discount code she kindly offers to the readers of this blog at the bottom of this post. My name is Anastasia Gerali, I was born and raised in South Africa of Greek parents. My father is from Thessaloniki Greece and my mother is from Paphos Cyprus. 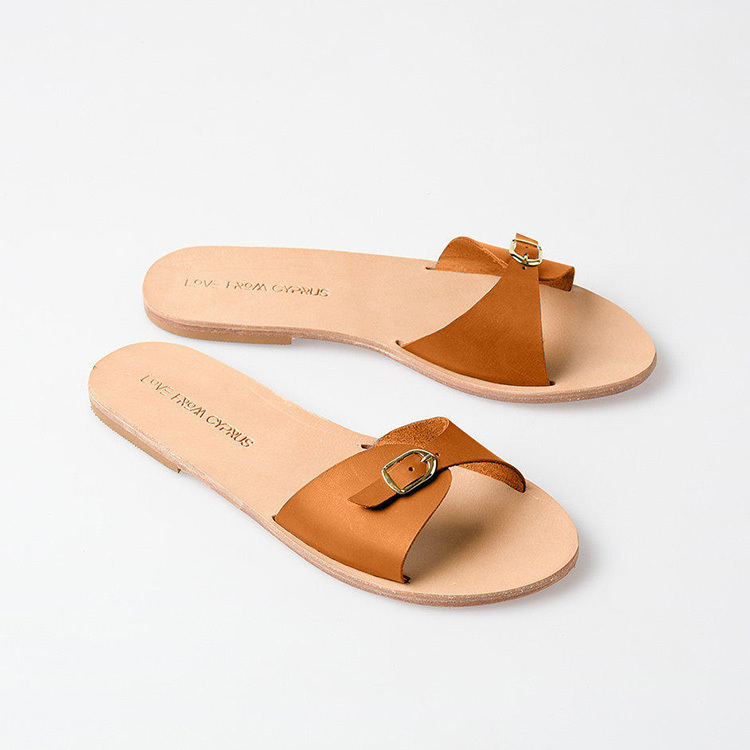 I am the founder and designer of Alasia Lifestyle, an independent brand creating timeless Greek leather sandals from sustainably sourced vegetable tanned leather, which are handcrafted by local artisans in Cyprus. 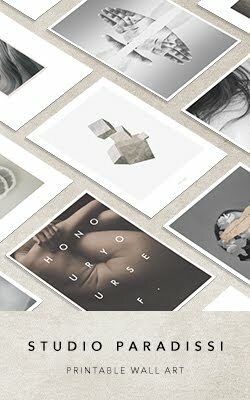 I finished art school before studying Graphic Design and working in branding, advertising and packaging design. I always used to sew from a little girl, and which working in agencies after my studies, I used to use my evenings to hand stitch upcycled notebooks and tote bags from PVC advertising banners. I wanted to start working with leather and while looking for a workshop to sew my leather bags, I found a small one used to make shoes back when there was an industry. The owner actually persuaded me to also make some sandals and the rest is history. That was in 2012. In 2014 I quit my day job to pursue my dream full time. We care about the process, our people and our impact on the environment. A significant part of the philosophy of the brand is to support local family run businesses and experienced local producers. Hence all our products are still made in Cyprus. We only use European grade sustainably sourced leathers from tanneries, which use vegetable dyes, and we avoid waste by making all our product to order. Our focus is on quality, not quantity, so we follow a timeless aesthetic to create staple wardrobe pieces which are made to last, not follow trends or fashion. What was the first thing you sold in your store? My first model, which I sold and which still sells today after so many years is my Ermes, winged sandals. I guess it’s because it’s customizable and available in women’s and kids sizes. Which of the product/s you have in the store is/are the most popular with your customers? Why do you think is that? My most popular styles are the most classic ones like the Plato and Kamares sandals. Although when I release new designs I get a lot of feedback and positive comments, I think my clientele are discerning women who are looking for timeless classics to add to their existing wardrobe. When you make a purchase from Alasia, you are buying a product that will last for years to come. You want to ensure it will be a basic that will get the most wear. As the soles are genuine leather, you can take them to your cobbler to resolve anytime. Do you have any favorite/s from your collection? 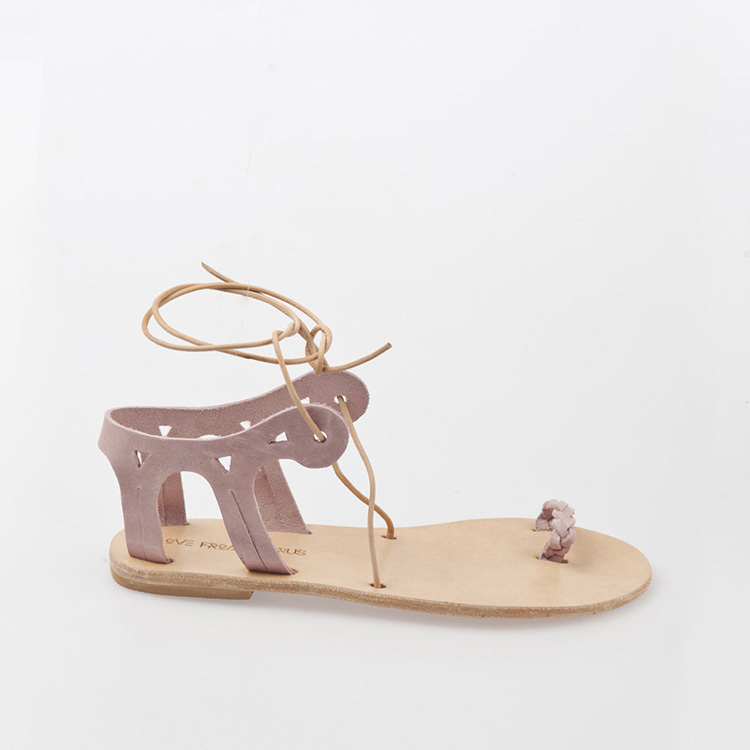 I personally like strappy sandals, like the Bellapais and the Acropolis sandals, because I think they are the most flattering. It may be due to my ballerina background. I danced for 13 years and am a qualified teacher. I find the straps around the ankle very feminine. What product/s have you enjoyed working on the most and why? I’ve enjoyed working on my most recent collection. It’s really the evolution of my brand and I enjoyed adding new elements to my classic leather sandals. I got to visit Turkish loom weavers to see the process of loom weaving and ladies who crochet to source the perfect crochet lace to use. I feel that including the Turkish cloth really encapsulates Cyprus’s culture and includes craft from both the Turkish Cypriot and Greek Cypriot communities. I enjoyed working on the Hammam slides and the Akamas crochet lace slides. It can be a number of things. Anything from the process of making something, Greek architecture, minimalist lines, or something from my mom’s old garments or jewellery box. The aesthetic of my brand is minimalist and classic lines so I try not to stray too far from this, although when I do create something new, I try to include my inspiration. Acropolis sandals were inspired by the columns of the Acropolis, and you can clearly see the columns in the heel of the design. Anthemion was inspired by the floral palmettes used to decorate pots and buildings in Ancient Greece. 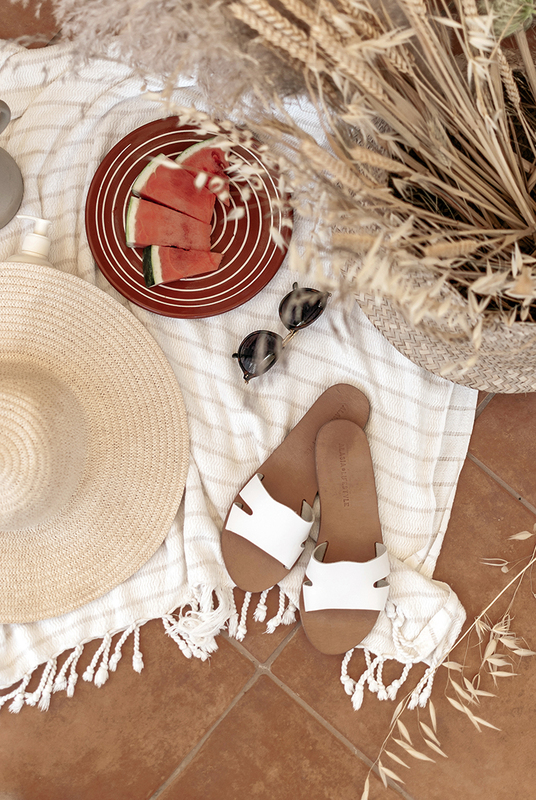 Bellapais is a more modern style that features an evil eye cut out in the heel of the sandal, often worn in Mediterranean cultures for protection and luck. So you can see, inspiration comes from everywhere, but I am predominantly inspired by my Greek heritage. I am not too influenced by fashion as I am not really a big shopper. My inspiration comes from art, books and history. I love visiting museums and looking at the details of things. Clothing in paintings, ancient jewelry, the work of other great designers. Do you have any role models or mentors that you look up to? I admire anyone who has made a success of their business on their own, especially if they had tried and failed many times before. It’s not often that someone is self-made despite all the so-called success stories we hear about today. What they don’t tell you is that there are a whole big team and a lot of financial investment in all these modern day success stories. I have not been lucky enough to meet a mentor. I wish I did! It can be very difficult to stay motivated when you don’t have someone to guide you or advise you, and if you don’t have the business knowledge or experience of an industry. I have a very small circle of friends who are also independent creatives and we share our stories and experiences often, learning from each other. They are my support structure, along with my biggest fan and cheerleader, my mother, and my wonderful and supportive partner. I’ve moved to London since January and my usual routine has changed a lot. Now I divide my time between London and Cyprus. In Cyprus I used to work part time as a trainer, teaching yoga and barre classes. So this would help me to plan my schedule around the clients I had. Now my routine is much more flexible. I reserve my mornings for computer work (answering emails, creating content for my social media and a couple of other accounts I manage, taking calls, etc) and my afternoons are for my home and self. My home studio is very clean and basic. My iMac is center on my desk and behind it is a wall I use as my mood board for my brand. I like to keep my mood board up and add to it or subtract images from it to help me stay on brand. When I find something I like, a picture or a piece of fabric, I stick it on the wall. It’s a very light room and my desk is by the window. I tend to catch myself daydreaming or watching birds and squirrels a lot in the garden. If I could, and I do eventually plan to do this, I would have a workstation with my sewing machine, fabrics and my full library. All these things moved to the basement of my parent’s home when I moved to London because I had to let my flat go in Cyprus. I miss having fabrics and leather around me. And books, lots and lots of books! It hasn’t changed much over the years although the industry has evolved a lot. 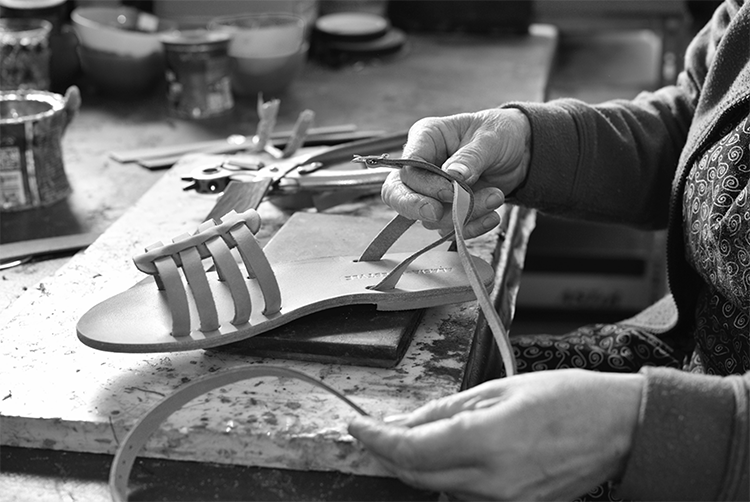 I still make classic leather sandals, and I still work with the same small workshops I started with. I thought that by now I would have been able to employ people, but the business has not grown enough for me to be able to do that. I do have a very loyal customer base though as I get repeat sales every year from a few of the same women year after year. This is a very good sign to me because it means they love their products! I do plan to add a couple of other items also to my collection. Sustainable clothing, but I’ll start small, with pre-orders only. While working as a designer as agencies, I realized that graphic design or digital design, as much as I enjoyed it, does not leave a lasting impression. Creating something tangible, something you can feel or touch gives me much more pleasure. Creating something that other people can see and ask me about if a great way to tell a story too. So I think studying graphic design definitely gave me transferable skills, but packaging design and product design are where I was bound to end up eventually. If I were starting over I would have done apprenticeships to learn a craft, whether is be shoemaking or weaving, or ceramics. Then I would only do a short course about marketing, business or production, and worked in those industries for a short while before starting my own brand. I doubt I would study a 4 year degree again. I think apprenticeships are the way that craftsmen became masters at a craft and nothing beats experience. I learned everything while doing it and a lot of my lessons learned were expensive and could have been avoided or minimized if I’d had a mentor or the relevant experience. I enjoy the creative part the most. Creating new designs, working with the factory and overseeing production, researching and creating content. I love art-directing shoots too, especially since my photographer is a dear friend and we work well together. Logistics takes the most time unfortunately and also if my least favorite part of the business. Anything to do with accounting too is the bane of me, but essential. 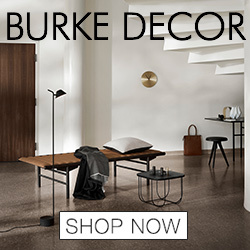 Describe your ideal customer / Describe the ideal space you’d like to see your products in. The ideal customer is a discerning woman, who is confident in her femininity and has her own unique style. 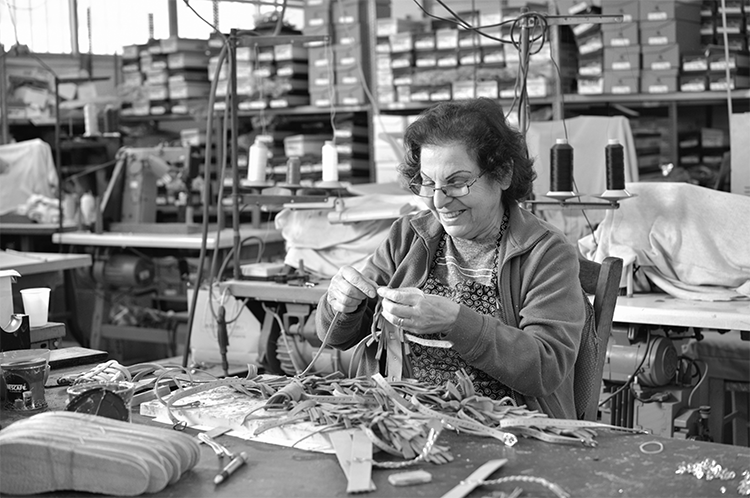 She is less interested in fashion and trends and cares about the quality and story of a product. Ideal space is really a dream I have. A vision of a space which brings art, lifestyle and craft together. A space where women can attend workshops like cooking classes, ceramic or life drawing. A space where you can have a coffee while listening to acoustic music and discuss art. A gallery space which displays independent designer brands from Greece and around the world. Brand with a story to tell or a vision. 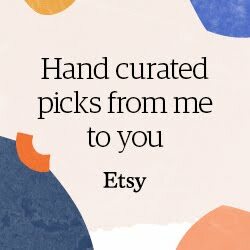 I am quite lucky to have a few stockiest which are boutiques who curate independent designers, and I am honored to be included amongst their selection. Whenever I get an email from a woman to thank me for her sandals or tell me she wore my sandals on her wedding day it makes me feel happy and blessed. I am also quite honored that women who subscribe to my newsletter relate to me on a human level. Most of my blog posts regarding my personal life and struggles (divorce, love, life), got the most amount of emails of messages of support and solidarity. Of course, I am always happy to see a repeat customer, because that means she loved her previous purchase from me enough to make another. Evolved and growing. I would like to have evolved into a true lifestyle brand and include clothing and homewares, with sustainability in mind. It’s very important to me to create items, which have the environment and my people in mind. I also have a dream to teach other young women how they can establish their own brand and guide them the way I needed when I started out. I know how lonely and challenging it can be when you have a dream and don’t know where to begin. I would suggest you first find what is important to you, and why. You won’t be doing anything unique or new that hasn’t been done before, but if you have a story or a strong concept behind your brand, this can be your differentiator. The second piece of advice is to just start. If you are waiting for the stars to align and they full solar eclipse there will never be a perfect time. You just need to start. The market and your customer feedback will then show you where to take it from there. 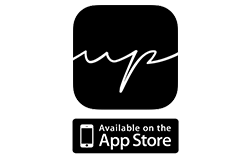 You can find Alasia Lifestyle on facebook, instagram, pinterest and her website. Anastasia kindly offers a 15% discount for the readers of this blog to shop at her store with code PARADISSI on any orders over 100 Euro. This includes Free DHL Express shipping. 1 comment on "ETSY SPOTLIGHT: Alasia Lifestyle"
Great post! I looove the aesthetic of your photos!